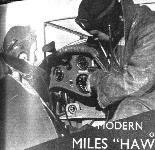 The front cockpit of the Miles "Hawk Major" has been very fully equipped with instruments for indicating the temperatures of petrol, oil, cylinder heads, etc. The Adventuri, otherwise the super-venturi which Miss Fontes could place in the air-stream to drive blind-flying instruments in the event of her Hawk Speed Six striking bad weather. 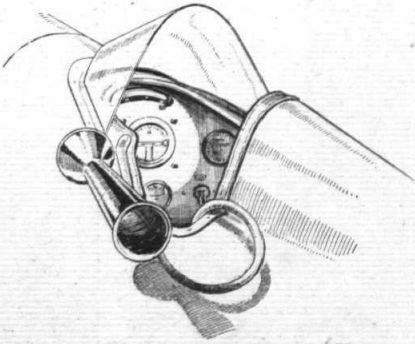 This sketch gives an excellent idea of F/O. Clouston's surroundings in his Hawk Speed Six. 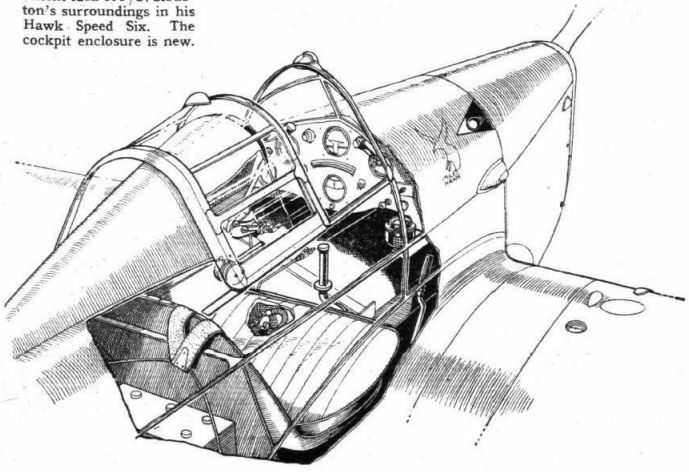 The cockpit enclosure is new.